DermaSea-Topical is a liquid preparation designed for application to skin "hot-spots" where there is inflammation due to eczema or other causes. The main active components are soothing and healing oils rich in anti-inflammatory fatty acids: oil of perilla seed and a unique patented oil extract of sea cucumber. It is thought that eczema, especially that which first arises during childhood and persists, may be due to problems in fatty acid metabolism. 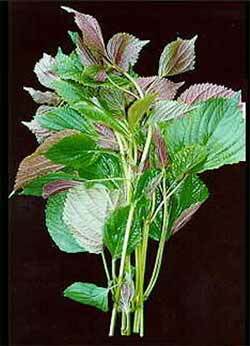 Perilla is a type of mint, known for its green leaves that turn purple as they mature. Its seeds have been used since ancient times, taken internally as a treatment for asthma and rheumatism, while its leaves are employed as an antidote for allergic reactions to fish. 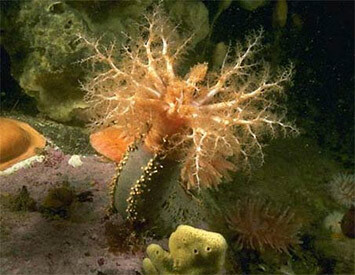 The sea cucumber is a marine organism that contains an oil fraction with remarkable anti-inflammatory activity. Coastside Bio Resources has developed a method for isolating this fraction. In laboratory studies done on this sea cucumber oil fraction and the DermaSea-Topical oil made from it, researchers showed that at 1/1000 dilution it could produce near complete inhibition of synthesis of inflammatory biochemicals by cells. 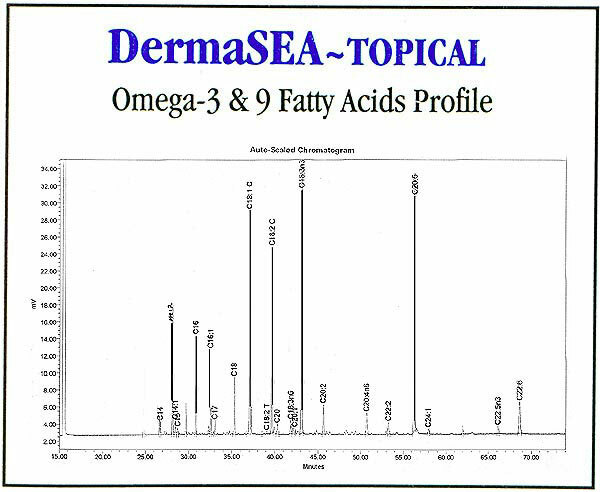 In addition to n-3 fatty acids common to fish, such as DHA (docosahexaenoic acid; C22:6) and EPA (eicosapentaenoic acid; C20:5), sea cucumber oil contains MTA (12-methyltetradecanoic acid), one of the most potent inhibitors of the enzymes that produce inflammatory molecules. To this oil base is added extracts of herbs that are commonly employed in treating inflammatory conditions, such as frankincense (boswellia) and turmeric (source of curcumin). The oil is provided in bottles of 1 fluid ounce, with only a few drops needed to cover a skin area that requires treatment. The oil should be applied 2-3 times daily.